One of the first events I attended after starting the MSc Publishing course was Magfest, a self described ‘international magazine festival and conference’ that is held in September every year. 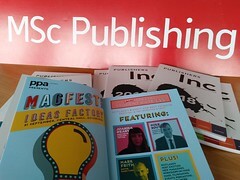 Organised by PPA Scotland (the Professional Publishers Association Scotland), the event is attended by magazine publishers and enthusiasts, featuring a range of international speakers. Having just started my course, this was an excellent opportunity to meet other publishing professionals while hearing from some excellent speakers. 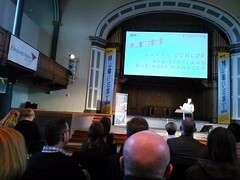 Held at the Central Hall, Edinburgh the event was attended by professionals from around Europe. The first speaker to make a real impression was Vanessa Kingori MBE, the first female head of a male focused brand in over quarter of a century at GQ Magazine. Speaking about how change is a constant in life, embracing technology and how a magazine brand must reflect its audience, it was a fascinating presentation. You really got a sense that all at the organisation were involved in taking GQ forward creatively. Another to really make a mark was Ernst-Jan Pfauth, Co-Founder and Publisher of De Correspondent, a Dutch language online journalism platform. Providing alternative and indie news, this exciting and successful site offers background analysis, investigative reporting and engages its 46,000 subscribers by consulting them on the news stories being written. ‘We don’t write about the weather but the climate,’ ‘informing readers in the best possible way’ and ‘journalists as conversation leaders’ were just some of the impressive things Ernst said when speaking about the forward thinking De Correspondent. They also use social media sparingly, engaging their audience directly. Some of the excellent titles I bought at Magfest (from left: Ladybeard, Counterpoint and Delayed Gratification). If you’re studying publishing or journalism, embarking on a career within media / the creative industries or you’re already established, then Magfest is definitely something you should attend. The insight of the speakers, the opportunity to make contacts and to hear about developments within the industry is incredible. 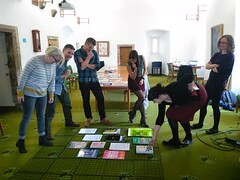 And I haven’t even mentioned some the amazing presentations from Terri White, Empire Magazine, Hannah Taylor, She Is Fierce and Espen Brunborg, from design firm Primate. The only thing I regret is making an idiot of myself when speaking with Vanessa Kingori. ‘I sound like Alan Partridge, don’t I? I’m going to go…’ I say. ‘Yes you do, and no, don’t, you’re hilarious,’ says Ms Kingori as Terri White stops laughing too. I hang my head in embarrassed shame… my networking skills have certainly improved since then! 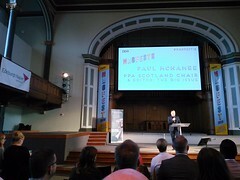 John Bird, founder of The Big Issue, completed the day with an energetic and hilarious presentation which he freestyled. Next Next post: Can You Be a Parent and a Publishing Student?